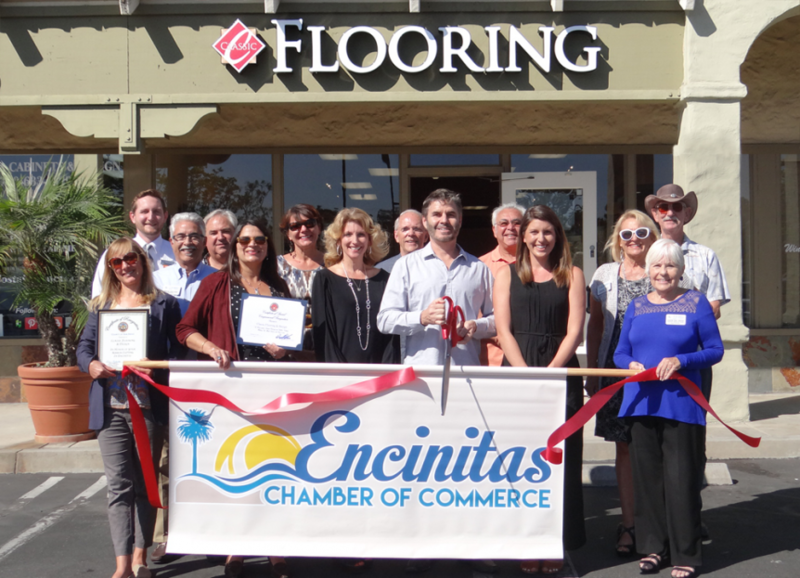 Classic Flooring & Design is a family owned and operated Floor Covering and Design center established by John and Michelle Alonso. John and Michelle have been providing San Diego with the highest quality product selection combined with outstanding customer service since 1986. Classic Flooring and Design strives to offer a wide variety of extremely high quality flooring options for your home or commercial space. If you are interested in Carpet, Hardwood, Ceramic Tile, Resilient Flooring, Area Rugs, Stone or Laminate floor covering, Classic Flooring & Design has a variety of the industry’s leading brands to meet your specific needs. Their products are cutting edge and fashion forward, providing a style and color for every discriminative taste. Each designer product is made with only the highest quality materials and features long lasting warranties in order to ensure the product’s quality and durability. In addition to their extensive product offering, Classic Flooring & Design prides themselves in the exceptional level of customer service they offer to their clients. With so many flooring and design options in San Diego, Classic Flooring & Design is committed to providing excellent customer service for an outstanding shopping experience with ‘no pressure’ sales. Known for providing exceptional product knowledge, they enable you to make the best decision for your unique budget, lifestyle and home. They greatly value their clients and tailor their service to each customer’s specific needs. Whether you are looking to spruce up a small space or you’re interested in a complete home redesign, Classic Flooring & Design can provide you with every resource necessary to bring your vision to life. With their extensive product knowledge, wide selection of the highest quality products, expert installation and care and maintenance services; the staff at Classic Flooring & Design will walk you through every step of your renovation process with ease! Get in touch with one of Classic Flooring & Design’s highly knowledgeable and experienced flooring specialists for a complementary consultation at (760) 723-8131.